The key to pulling off an epic digital marketing plan is to have a solid strategy in place. If you go into your digital marketing efforts blind, you’re setting yourself up for disappointment. Your digital marketing plan can determine how effective and efficient your digital marketing campaigns will be. With a clearly-defined digital marketing plan, you will be able to organise your thoughts and ensure you don’t forget any crucial elements in your digital marketing campaigns. It won’t only benefit the marketing manager; everyone will know and understand their place in the process thanks to a well-articulated digital marketing plan. That’s well and good, you say. But where do I start? Constructing a digital marketing plan is a big undertaking. 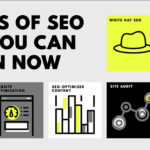 That’s why this article will address the key elements of a good digital marketing campaign, outlining each section, what it entails, and what needs to be done to ensure your plan leads to successful results. 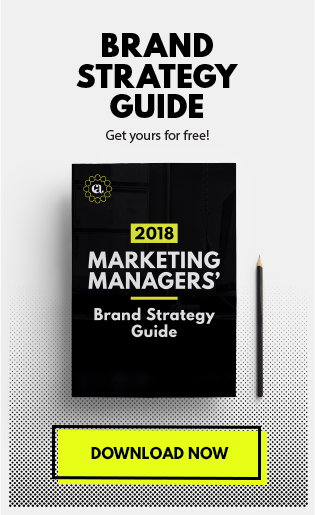 Before we begin, if you’re interested in creating a digital marketing plan, you should seriously consider downloading our 2018 Marketing Managers’ Digital Marketing Guide. Check it out here. Alright then. Let’s dive in. Branding is the first port of call when developing a digital marketing plan. 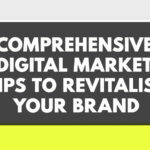 Without an attractive and consistent brand, much of your other digital marketing effort will be for nothing. A brand is kind of like the face of a business. When you think of a brand, you’re thinking of the outward appearance that the business projects to the public. As a result, it is incredibly crucial that you develop a brand that represents your business accurately and is attractive and relatable to your audience. First up, you need to know what you want to represent as a business. 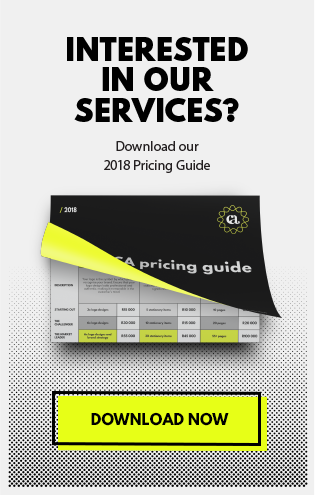 This needs to be a specific answer, not just ‘plumbing’ or ‘legal advice.’ There are lots of plumbing and legal advice businesses out there – what makes your business worth choosing over the others? Think about this carefully. Your answer to this will be significant in a host of other decisions you are yet to make in your digital marketing plan. Apple, for example, are a tech company. There are tons of people who make cell phones, computers and other technology – just like Apple. Why do people buy Apple specifically? Apple technology is simple and fashionable. It’s designed to be geared towards middle-to-upper class people who want devices that are easy to use and stylish. This is what sets Apple products apart from other devices, and has resulted in them swallowing up an enormous, specific market share. After this, you’ll need to learn who your target audience is. This is another crucial aspect of your digital marketing plan since it forms the basis of a variety of other aspects of your marketing efforts. If you define your target audience in one sentence, you’re probably doing it wrong. You need to formulate a wide variety of questions that let you narrow your target audience down as far as possible. You want to reach a point where you can design fictitious personas that could form part of your audience. Give them names, locations and anything else that humanises them in your mind. You’ll want to further position your brand in an accurate and beneficial way by formulating a slogan and deciding on a tone of voice. These two elements will complete your effort to position your brand in a particular way that can help you to take a particular marketing share for your own. Each of these need to be used consistently across all of your platforms so that you can develop a brand image that is recognisable to your prospects and customers. Inconsistent implementation of the above can result in confused prospects and customers, who don’t instantly recognise who you are on certain platforms due to this imbalance in your brand design. Think about the big brands – Coca-Cola is always red, and they always use that curly font when branding their name on things. You can be walking through a town, and if someone has a Coca-Cola sign above their shop, you’ll immediately associate that shop with Coca-Cola – even if the sign has their shop’s name on it. Not only do these elements need to be consistent; they also need to fit your brand. There’s no point in using gold, silver and purple colours and fancy, luxurious fonts if you’re a fast food outlet. Your brand design choices need to be constructed in a way that will push a certain image of your brand that resonates with your target audience. Finally, you’ll need to take the previous branding decisions and implement them in the form of marketing assets. Creating a brand guidelines document will help you to take your branding decisions and concretise them in a way that can help you not to stray from these decisions. You should also consider taking this brand guidelines document and distributing it to anyone in your business who will be working with your brand. This will ensure that not only your plan is consistent, but the implementation of it will be, too. Then, you should look to get your brand placed and implemented in a variety of forms and ways. Consider, for example, creating a company video that furthers your brand image in the eyes of the public by showing what drives your staff to serve their needs. Company videos also humanise your brand in the eyes of your prospects and customers. Another possibility is creating branded gifts to dole out to prospects, customers, and clients. These can be small gifts like a mug or a pen, but it is important that you these gifts are branded. This will keep your brand in their minds, and potentially even expose other people to your brand if they see these branded items. Once you’ve got your branding sorted out, it’s time to start reaching people. But before you bask in your new leads, you need to plan out your lead generation strategy so that you ensure that you’re functioning optimally in the wonderful world of reaching new prospects. Firstly, you should work out what your advertising angles are to be. You should search the keywords you’re looking to target and see what your competitions’ advertising angles are. This research is vital since it will let you know where there is a gap in the market, and what angles you can use that will usurp your competition in the battle of lead generation. After formulating these angles put them into action. Key to your lead generation is targeted advertising. Remember that target audience stuff we were talking about earlier? Here’s where it shines. Each of the above platforms offers unique benefits for those who utilise their advertising capabilities, and each of them allows for targeted advertising. (Want to know more about what you can do on these and other advertising platforms? 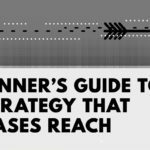 Access our Targeting Cheat Sheet in the 2018 Marketing Managers’ Digital Marketing Guide here). Now that you’ve stoked the fire of curiosity in the hearts of your prospects, you need somewhere to send them. This comes in the form of a landing page. Your landing pages need to be engaging and must contain relevant call-to-actions that encourage the visitor to act. These can be in various forms – buttons, forms and call extensions are but three of the options you have at your disposal. Many people make the mistake of creating a glitzy landing page with lots of fancy visuals, but not much else. In truth, a landing page is not only a place for your design team to have fun; it’s also a crucial opportunity to allay any trepidations or fears that your prospects might have about converting. You need to find a balance between overwhelming your prospects with text and giving them enough information to make an informed decision. The effective management of these two elements will result in a landing page that encourages conversions, rather than being a leaky hole in the proverbial funnel. Another important aspect of your lead generation campaign is tracking your landing pages and advertisements. The information you can get from tracking these elements of your digital marketing plan can help you to work out what’s working, and what needs to be improved. Tools like Google Analytics are fantastic for enacting these tracking measures. You can track who is clicking on your advertisements, how they’re interacting with your landing pages, and much more. In fact, it’s almost criminal in digital marketing circles to not have Google Analytics installed on your landing pages. Don’t be too greedy with your call-to-actions: yes, downloads and purchases are the best forms of engagement, but you should also include call-to-actions like ‘message us’ and ‘call us’ so that prospects can ask you questions before converting. Your goal should ultimately be to hold your prospects’ hands and guide them through the lead generation process as helpfully as possible. Now that you’ve got your initial advertisements out there, it’s time to focus on expanding your marketing efforts. These days, raw advertising isn’t enough to earn digital dominance. Prospects don’t want to feel like the target of a bombardment of advertisements. They see through good ol’ fashioned advertising and are more inclined to ignore it than before. What now? The answer lies within the database building process. You should be looking to engage with your prospects, developing a two-way relationship. This comes in the forms of content marketing and email marketing. These two tactics work fantastically together, developing and then nurturing leads in a way that feels organic to your prospects. First of all, you need to initiate the content marketing process. You should be using tools like Google Keyword Planner and BuzzSumo to find out which keywords you should target with your content. Look for keywords with high average monthly searches. Also enter these keywords into Google (in incognito mode) to see which articles currently feature at the top of search results, which will allow you to see what your competition is. Once you’ve decided which keywords you’re going to target, write the content (or create the video content, or the podcast etc.). Ensure that the post is SEO-optimised, including your visual elements. Hopefully, this content will begin to get some reach. Use your social media presence to share this content with your audience to get more views. This content will help to establish your brand as knowledgeable and reputable. Importantly, people will trust your brand as an authority on the topics you’re covering. These articles are good at developing awareness and respect, but you should also be utilising them for another end. Your next task is to develop lead magnets. Lead magnets are valuable resources that you provide to your audience for free. Well, they’re not completely free – they require your prospects to give you their email address in exchange. But that’s a small price for them to pay for your wonderful insights. The goal is to collect a database of email addresses that you can market to in the future. People are much more likely to give you their email addresses if you’re offering them something in return. Lead magnets, then, are longer-term investments. You don’t get any immediate financial return for them, but they increase your audience and prospect pool – meaning that in the long run, they will benefit your business’ growth substantially. An additional benefit to content marketing is that you can implement retargeting to people who read your article. 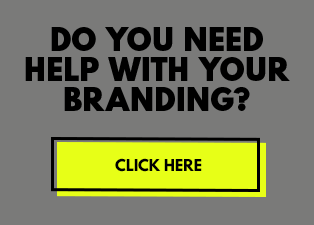 This is particularly beneficial, as it means that your advertising campaigns can focus on people who have encountered your brand and have shown an interest in your knowledge. Now that you’ve hopefully collected a bunch of email addresses, you should put them to good use. Newsletters are one of the best ways to turn prospects into customers, and customers into repeat customers. This is because you have a direct line to their inbox and can craft a very specific email that balances valuable content with sales promotions. We at Conversion Advantage believe in a 70/30 split between providing valuable content and pushing your own sales promotions. This ratio makes the customer feel like they’re getting a good amount of value from your newsletter while allowing you sufficient space to push your products or services to them. Newsletters shouldn’t simply be created on a whim. You should design templates that ensure that your newsletters remain visually consistent. This breeds familiarity in the mind of your audience, which is crucial to developing loyalty and trust. You should also develop a content newsletter calendar. This means that you have a schedule for the release of your newsletters. 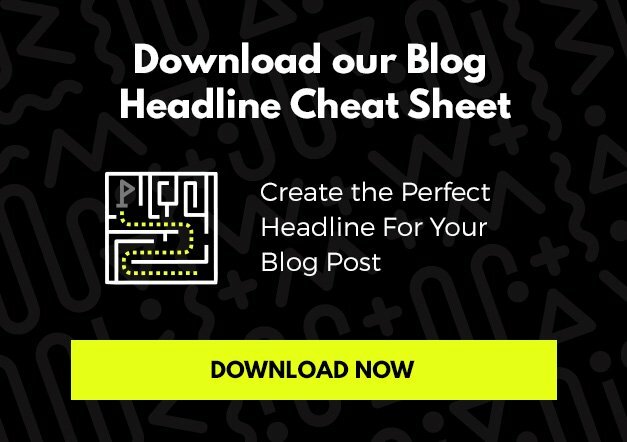 If you’re planning on publishing one newsletter per month, you should have a schedule of how the design, content creation and any other elements are created, collaborated, and published within a specific time frame. This will ensure that your newsletter is released timeously and is created efficiently each month. The final pillar of your digital marketing plan is community building. This involves ensuring that you optimise your social media platforms so that you build communities that are engaging with your brand and each other. You can increase your reach substantially. This is because social media platforms are optimised for the sharing and redistribution of content. Your audience members could potentially share some of your content with their friends, providing exponential growth in your reach. Your audience is ever-present and has made a conscious decision to follow you on your social media platforms. This means that you have a host of high-value leads waiting to be blown away by your awesomeness. 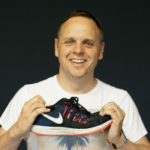 You can personalise the relationship between you and your customers in a way that traditional advertising simply can’t. Your social media platforms are interactive, meaning people can ask you questions, leave comments, and even submit reviews. Additionally, and perhaps most importantly, social media is incredibly popular. You have access to millions of potential prospects through relatively streamlined platforms – the opportunities are virtually endless. There is a vast array of social media platforms that you can choose from, but some are notably more powerful than others. These are generally the most powerful social media platforms (although depending on your market, some of these will be less relevant, and others potentially more valuable). Each of these platforms has their own unique benefits and serve specific roles within the larger social media environment. Facebook is the default social media. It does a lot of things well and is a reliable option that should be at the top of your social media strategy. Twitter targets people looking for quick updates, bite-sized opinions from thought leaders, and is the ultimate platform for short, targeted marketing. It is commonly used to promote articles and videos. LinkedIn is the ultimate platform for B2B communications and networking. Pinterest is a database full of interesting ideas and guides, presented visually. It is a particularly valuable tool for providing infographics, recipes and other informative visuals. Instagram is the trendy platform for sharing imagery. It is the optimal platform to target younger prospects with lifestyle content. Google+ is a fantastic platform for improving your SEO ranking on Google by sharing your content. YouTube is the dominant video social media platform. It focuses on longer forms of video than the story-style video available on Instagram. As you can see, each of these platforms serves a particular niche within the social media market, and you should consider each of their benefits for your brand. As a result of their differences, these platforms prioritise specific content types. While some of these types span multiple platforms, there are other types that are heavily favoured by some platforms over others. For example, LinkedIn isn’t particularly useful for lifestyle content but is the dominant platform to share B2B information, and informative tips and tricks about careers and markets. Instagram, on the other hand, does not suit the latter form of content at all but is fantastic for the former. Understanding these difference is crucial to optimising your social media efforts. 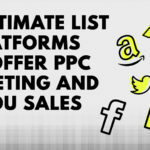 Utilising each platform effectively can significantly improve your marketing results. It will also show that you understand your audience and how they use social media, making you more relatable and trustworthy. You should also consider the frequency in which you should post. Different social media platforms expect more activity than others. This is generally related to the type of content that is posted on each of these platforms. For example, your Twitter account should probably be posting more frequently than your LinkedIn account. This is because Twitter is all about short, brief, and regular updates, whereas LinkedIn focuses primarily on longer-form content. These four pillars should form the basis of your digital marketing plan. If you implement them effectively, you’re well on your way to taking your market by storm. The next step is ensuring that you stick to this plan. You need to commit to it, as this structure will help you to streamline all of your digital marketing efforts. Not only will this make your digital marketing more effectively; it will also save you a lot of time. This doesn’t mean that you shouldn’t be creative. These are a framework, but it’s up to you to build something amazing within them. Be the architect of a brand that dominates its market with a fantastic digital presence that complements your offerings.